Timbuk2 is well known for their custom messenger bags and for being handmade in San Francisco. But they also make excellent wheeled luggage these days, as is seen with their Copilot model. The Copilot’s materials were picked for durability, keeping in line with Timbuk2’s reputation. But how does this carry-on hold up? And is this USA-made luggage worth the higher price tag? Check out our review on the Timbuk2 Copilot. I tend to favor hardside suitcases. But with a carry-on, this is not so important as it’s not mistreated like larger checked luggage. The great thing about the Copilot is its unique fabric. It’s not the typical textured nylon. Instead, it’s a nylon reinforced tarpaulin. The result is fantastic. It looks more modern and sleek than most fabric luggage, cleans easily, and is difficult to stain. For the retractable handle, it is a dual-pole aluminum design. As you can see from the pictures, it is very solid and thick. According to Timbuk2, the handle itself is “bike” inspired, meaning it has the grip and texture of a bicycle’s handle. I’m not sure this makes much of a difference, but it is an extra finishing touch for sure. Another stand-out design feature is the skateboard wheels – very different from most wheeler luggage. These are super quiet and smooth. Although it seems unlikely based on their solid design, if a wheel ever did crack, they are replaceable. Yes, the wheels can easily be removed! The Timbuk2 Copilot has grab handles on all four sides; fabric ones on the top, left, and right and a plastic handle on the bottom that doubles as a foot. To be honest, I don’t know why all suitcases don’t do this. It’s such a simple feature but makes it so much easier if you put your luggage in the car, taxi, or overhead bin backwards. 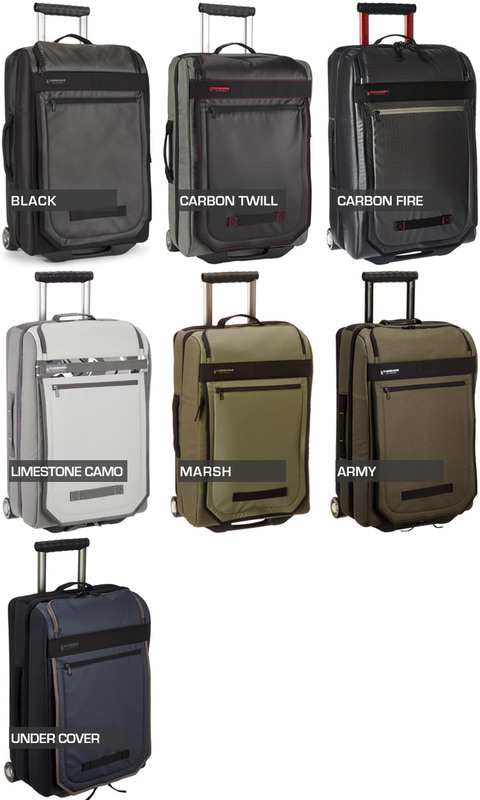 The Timbuk2 Copilot Carry-On comes in 7 colors: Black, Carbon Twill, Carbon Fire, Limestone Camo, Marsh, Army, Under Cover. Although the Copilot does come two other larger sizes, they are not available in all 7 color options. Only the 20″ “small” model has these. My personal favorite is the Carbon Fire. I like the bold contrasting red and techy metallic fabric. Although the Limestone Camo is rather different and looks sweet, I would be hesitant to get that color. It seems like it would eventually show up grease and oil stains that are difficult to remove. I’m a big fan of interior dividers. There’s really no downsides to them. If you don’t want to use them, they don’t get in the way when unzipped. But otherwise, they’re great at organizing your items or separating clean from used clothes. 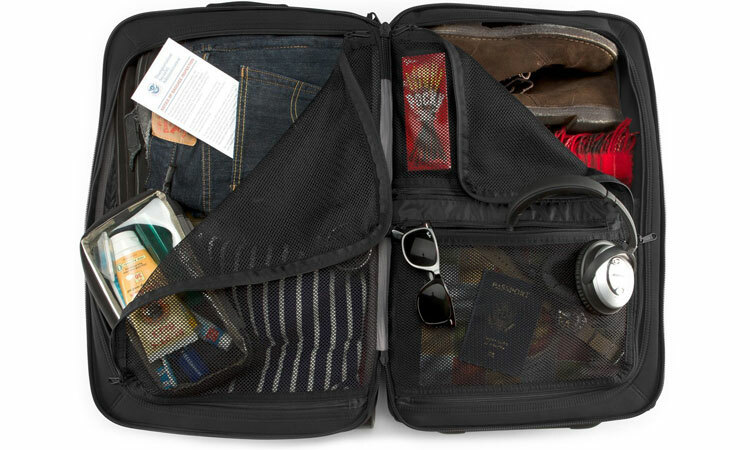 The Timbuk2 Copilot has mesh dividers on both sides, not just on one side like most luggage. And there are 2 zippered pockets on the right mesh divider. As you can see from the picture with the Copilot fully packed, it can hold quite a bit. The right side is also accessible via the top compartment, should you not want to fully open the suitcase. 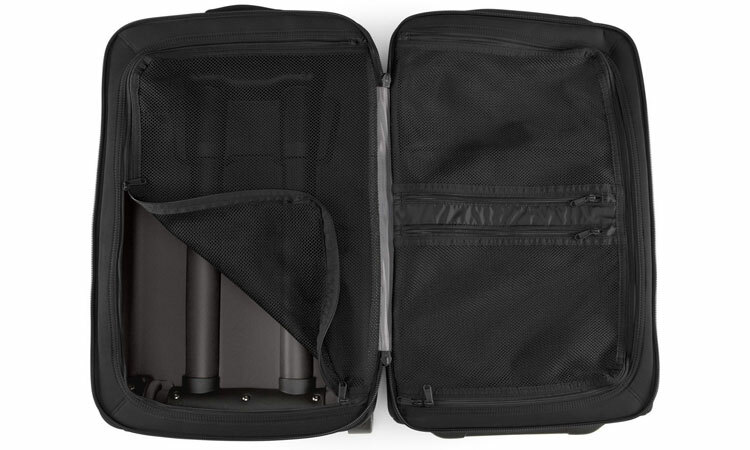 In addition to those compartments, the very front of the Copilot has a thin pocket to store a 13″ laptop or tablet. It’s sufficiently padded and makes it easy to access while waiting in the airport, on the bus, or from the overhead bin. Above the thin, laptop-style pocket is a zippered compartment on the very top. It doesn’t hold much, but it’s great to hold small items like a phone charger, tickets, or small food items. This may not sound like a big feature, but if you have ever struggled to find your tickets or passport at the bottom of a deep outside pocket, then you can appreciate how welcomed this is. The Timbuk 2 Copilot comes in 2 additional sizes, besides the 20″ Small that I am reviewing – 22″ Medium and a 28″ X-Large. 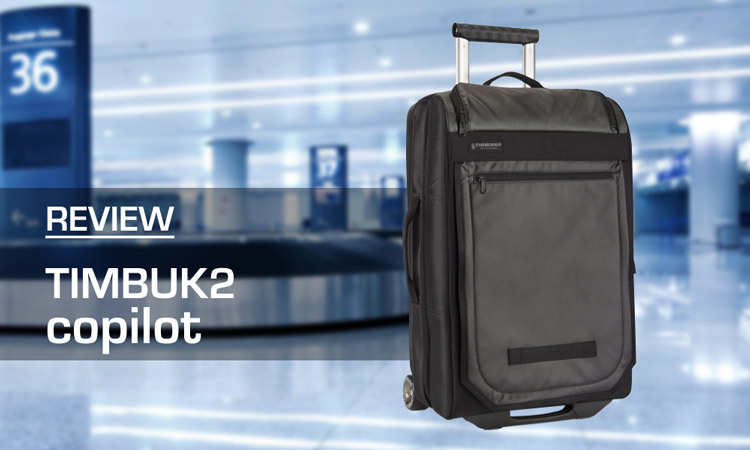 The 22″ is essentially the same bag and may still qualify as a carry-on with domestic flights, but with a little extra room. 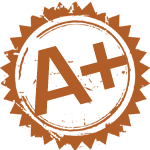 Keep in mind, though, that the Medium is not available in all colors and could be oversized with some airlines. As for the behemoth that is the 28″ X-Large… well many of the selling points of the 20″ that I’m reviewing are not so applicable at that size. For example, the front pockets are useless for storing your laptop or other important items as you would not place them in a checked bag. And for large suitcases I feel that 4 spinner wheels are a must. So I would stay away from their X-Large option and stick with their smaller carry-on models. Timbuk2 has been around since 1989 and has a well-established reputation for creating durable bags; bags that last decades. It will take a couple of decades before I can tell you if the Timbuk2 Copilot will last equally as long. But from its design and materials, it seems to be a sturdy and durable piece of luggage. The wheels are quiet, smooth, and replaceable! This allows your bag to continue for years to come even if the wheels get banged up. A tough, wipeable, and water-resistant fabric will help keep the Copilot looking great for years. And the double-pole aluminum handle is sturdy. Keep in mind that I don’t score a product’s price based solely on how high or low it is. That would be like grading the price of a gourmet hamburger in comparison to the price of McDonald’s dollar cheeseburger. So based on value – what you get for the price – how does the Timbuk2 Copilot Carry-On score? As you can tell from my review, I love the Timbuk2 Copilot. I think it’s a finely tuned piece of luggage. Lifetime warranty. Designed with today’s tech needs in mind. Cool color options. And made in the USA. MSRP is upwards of $220, but you can typically find it for $175 and under. I feel that you often get what you pay for. And with the Timbuk2 Copilot what you get is worth the price. User reviews on various websites average around ## stars out of 5. At this price point, it’s understandable that some reviewers feel it’s overpriced. Check out my thoughts on this in the Price section above. 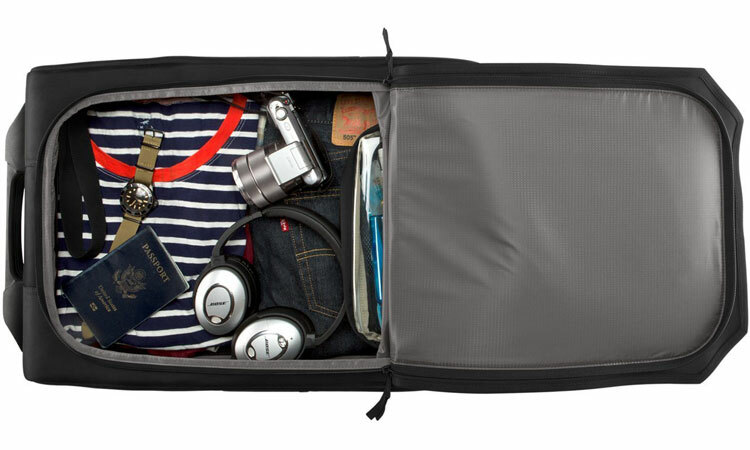 The Timbuk2 Copilot can be purchased on Amazon, and is the perfect carry-on luggage. 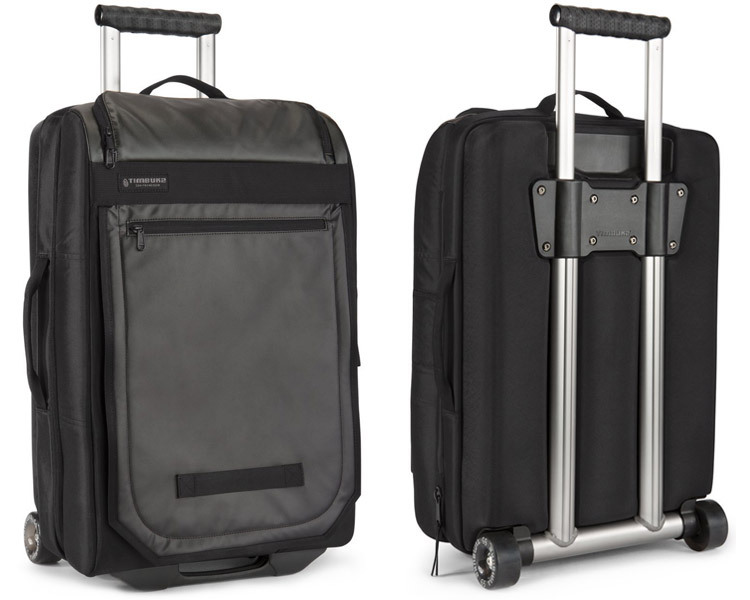 It’s durable fabric, solid handle, whisper-quiet wheels, and stylish design make it easy to travel with. The multi-pocket design and interior dividers make organization simple and common items quickly accessible. The price will be a bit steep for many people, but for those who can afford it, the Timbuk2 Copilot will be the perfect luggage investment that they will enjoy for years to come. For those who want a cheaper, yet reliable carry-on solution, I recommend the Samsonite Underseater.